Women's Day Celebration - Company News - SHENZHEN YOUTHTON TECHNOLOGY CO . , LTD .
On March 8 afternoon, all the sisters in Youthton had a joyous gathering for celebration on Women's Day. As a girl, they may be: mother, wife, daughter, daughter-in-law. 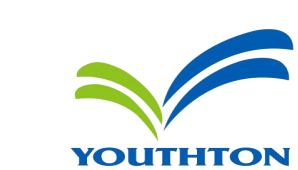 In Youthton they hold these posts: administrator, sales manager, production line worker, accountant, assistant. They work diligently here and create value for themselves, for the company, for their family members, and for the society. They are proud of their contribution and Youthton is proud of them. They work here in the Youthton family and care about each other, help each other, share joy together, rise to the challenges and fulfill responsibilities together. They are a group of dedicated Youthton girl staff! Happy Women’s Day to all Youthton sisters!